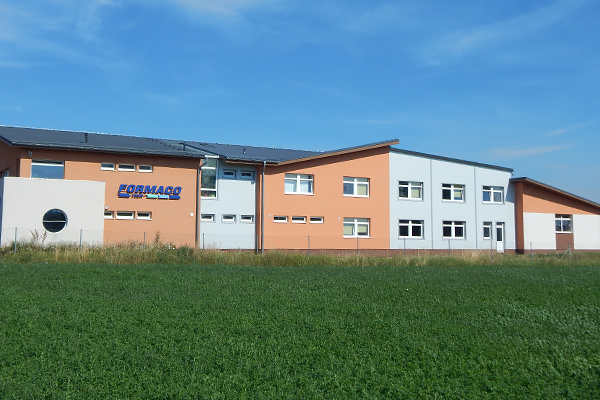 Employees of the company FORMACO TECH Ltd. offer its customers a wide range of engineering products. The focus of our production is custom engineering. In the area of custom manufacturing we provide comprehensive services beginning with supplying the semi product, through actual production, all heat treatments and surface finishes, ending with transportation to the customer. We are one off and series manufacturer of dimensionally small and large parts simple parts and products that require high quality and accuracy. The operations that we do not own the technology for, we outsource at the external companies with whom we have long-term partnerships. In addition to machining we carry out installation, metal and welding works(TIG and CO). Since 2004 we are the exclusive suppliers of the structural system of aluminum profiles (FPS) and modular transport system (MTS) from SCHNAITHMANN for the Czech Republic. We also design special machines and equipment of these profiles. These systems are very sophisticated and are continuously updated with new features based on experience in practice and customer feedback. They include a number of mounting elements, plastic profiles, plugs and accessories that allow you to solve very easily and efficiently most design problems. Our family business has a long tradition and retains its stable position on the market, yet is still expanding both production facilities and machinery.